Any business will experience a boost with an online presence. But, should go for a website or is company in need of a Retail Store App ? Here's where should direct precious resources. Pune, India - January 30, 2019 /MarketersMedia/ — Pune, IN. :Over the past decade, the number of smartphone users has increased exponentially. From ordering groceries to purchasing expensive electronics, there is a Retail Store App for everything. The operational efficiency, user interface, and negligible costs have led to this exponential growth of mobile app users over the years. Almost all B2C companies including the companies in the retail sector have an app on the Play Store or App Store. Now it’s time for the B2B sector to get going. Here’s how they can do it. This shift was gradual in the beginning but has become so drastic that websites are being considered obsolete. 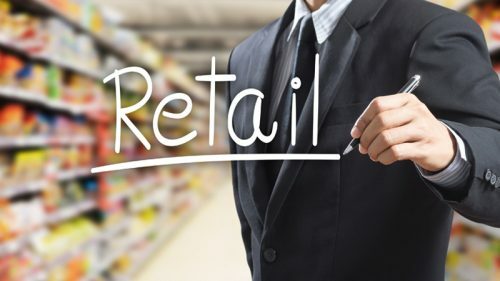 The slow death of the web-based retail sale is due to many factors ranging from the shift in the popular technology to the accessibility and ease of use of the applications. A few of the reasons that show the significance of retail store app have been discussed below. Applications can be tailor-made for every user based on the data collected. All minute details that can enhance the user’s experience on the platform can be optimized easily. Most apps also store necessary information such as address, contact details, and payment information. This information can be stored remotely on the device and is more secure than websites which reinforces the need for retail store app. In order to provide an excellent experience, all the components present on the smartphone can be utilized using apps. For example, the camera can be used as a barcode scanner to identify a particular item looking for in the retail store. The location services can also pinpoint location in case aren’t sure of the exact address. In this fast-paced world, people want everything at their fingertips and this need is justified given the advancements in technology these days. Since apps store the data on the device itself, it loads more quickly than a website. This particular feature shows the significance of a retail store app when need to order items quickly. One of the primary reasons why retail companies are in need of mobile apps is that almost 63% of internet traffic is from smartphones and this is only set to increase in the coming years. It was also found that smartphone users spend 86% of their time on their mobile devices. Everybody has a smartphone these days, and the number of smartphone users is increasing by the day. Although websites can be accessed on the smartphone, it provides a poor user experience. Compared to this, an app is built specifically for the smartphone and functions seamlessly. Due to this, there are millions of apps available on the play store and app store. It is clear that apps are the future of retail and are a vital tool in providing a convenient shopping experience for customers.